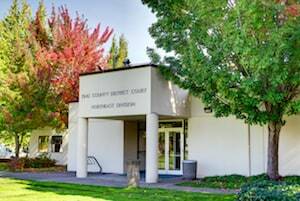 A Redmond reckless driving conviction incurs penalties that land you in jail and affect your life in countless ways. If convicted of reckless driving in Washington State, you will incur a mandatory 30 day driver's license suspension, and could spend up to 364 days in jail. You may also be forced to pay fines totaling $5,000, and you will acquire a criminal record. Once your Washington State driver's license is reinstated, you will be required to carry SR-22 (high-risk) auto insurance for three years, which will likely make the cost of your insurance skyrocket. Reckless driving is a misdemeanor in Washington State, and a conviction can result in severe damage to your finances and driving privileges. If you want to fight this charge or minimize its impact, contact the Redmond reckless driving attorneys at the Law Office of Jason S. Newcombe today for more information. Washington State laws that outline the details regarding reckless driving offenses can be confusing, especially when a DUI is involved. Our Redmond reckless driving lawyers will help you determine whether the charges can be dismissed or reduced, and if so we will pursue these options. Reckless driving cases in Redmond often involve drivers traveling at excessive speeds, which can lead to an arrest. This also applies to motorists who ignore road conditions that warrant extra care and attention, like rainy or icy surfaces. Our main goal is to keep you validly licensed to drive and out of jail, while seeking to minimize any other penalties associated with this serious crime. The outcome of your case will depend on the police reports and other pertinent factors, so contact our law office today so that we can start investigating your case. If you're charged with reckless driving in Redmond, you will be prosecuted as a criminal, but can you fight back against this charge? 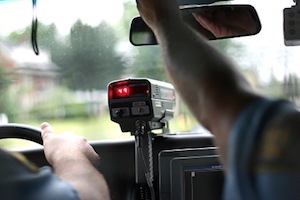 Most Redmond motorists don't view themselves as criminals, and have never had a run-in with the law. indeed, good drivers sometimes make mistakes or their mind wanders while driving, which is often why they end up speeding or committing some other neglectful act. You aren't the first person forced to handle the repercussions of a reckless driving charge, and the good news is that you can fight back. Our attorneys are sometimes able to uncover problems with the case or the police reports that can lead to a dismissal of the charge. Any investigation takes time, which is why you should speak with one of our Redmond reckless driving attorneys without delay. We offer a free consultation, so you can take the first step toward staying out of jail and remaining validly licensed by contacting our law office right now.